Around 120,000 British nationals visit Luxembourg every year (Source: STATEC (Statistics Office in Luxembourg). Most visits are trouble-free. If you’re living in or moving to Luxembourg, visit our Living in Luxembourg guide in addition to this travel advice. 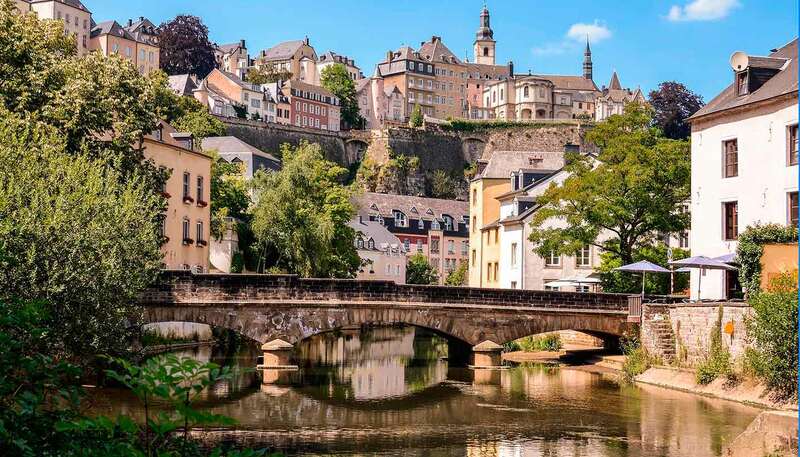 If you’re travelling to Luxembourg to do business or provide services, see further guidance on providing services in Luxembourg after EU Exit. Terrorist attacks in Luxembourg can’t be ruled out. All vehicles must have winter tyres when temperatures are zero or below. Violent crime isn’t common in Luxembourg cities, but incidents of burglaries are on the increase. Ensure you take adequate precautions to secure your home, particularly during the traditional holiday periods in August and around Christmas. Pickpockets operate on buses and in train stations, particularly the Luxembourg Gare (main train station). Be aware of your immediate surroundings, keep your bags within sight, and avoid displaying high value items. If the UK leaves the EU without a deal, you may need to get an International Driving Permit (IDP) to be able to drive in Luxembourg and other EU/EEA countries as a visitor. If you’re living in Luxembourg, check the Living in Guide for information on requirements for residents. Currently, if you live in Luxembourg you can use a valid British driving licence as long as you register it with the Ministry of Transport. Alternatively, you can exchange it for a Luxembourgish driving licence. Keep vehicle registration and car insurance documents with you to prove you’re the legal owner and the car is properly insured. Failure to do so could lead to a fine and confiscation of the vehicle. On the spot fines are common. It’s easy to cross into neighbouring countries without realising it. Keep your passport with you for identification. In 2017 there were 25 road deaths in Luxembourg (source: Department for Transport). This equates to 4.2 road deaths per 100,000 of population and compares to the UK average of 2.8 road deaths per 100,000 of population in 2017. Drink-drive laws are strictly enforced. You can be arrested for having a blood alcohol content of 0.05%. See the European Commission,RAC guide on driving in Luxembourg. If you travel on public transport you must buy a ticket and validate it either on platform before your travel or on the bus. Check validation rules on the ticket before you travel. You’ll be fined on the spot if you travel without a ticket or with a ticket that hasn’t been validated. For more detailed information, see the Angloinfo website. It’s safer to use official taxis (on clearly marked taxi stands). Always check the fare per km before getting in as some taxis can charge highly inflated prices. Taxi drivers charge 25% extra on Sundays. Terrorist attacks in Luxembourg can’t be ruled out. Attacks could happen anywhere, including in places visited by foreigners. French, German and Luxembourgish are the administrative languages. The minimum legal drinking age is 16 years, but being drunk and disorderly in public is a criminal offence that can result in arrest for a night and a heavy fine. You should check with the Luxembourg Embassy what type of visa, if any, you will need. If you’re planning a stay of longer than 90 days, you must make a declaration of arrival (déclaration d’arrivée) at the Municipal Office in your locality within 8 days. Within 3 months of arrival, you must get an address registration certificate (attestation d’enregistrement) from the Municipal Office. See our Living in Luxembourg guide and contact the Luxembourg Embassy if you have further questions. UK Emergency Travel Documents are accepted for entry and exit from Luxembourg. If the UK leaves the EU without a deal, access to healthcare for British nationals travelling or living in the EU, European Economic Area (EEA) and Switzerland is likely to change. More information about healthcare for UK nationals living in and visiting Luxembourg is available on the NHS website. The EHIC entitles you to state provided medical treatment that may become necessary during your trip. Any treatment provided is on the same terms as Luxembourg nationals. If you don’t have your EHIC with you or you’ve lost it, you can call the Department of Health Overseas Healthcare Team (+44 191 218 1999) to get a Provisional Replacement Certificate. The UK government has or is seeking agreements with countries on healthcare arrangements for UK nationals after the UK leaves the EU. The NHS website and this travel advice will be updated with further information on travelling to Luxembourg as the circumstances change. If you’re living in Luxembourg, you can also find more information on healthcare for residents in our Living In Luxembourg guide. If you need emergency medical assistance during your trip, dial 112 and ask for an ambulance. If you specifically ask for SAMU Ambulance (Service d’Aide Médicale Urgente) it means that the ambulance will come together with a doctor. If you’re referred to a medical facility for treatment you should contact your insurance/medical assistance company immediately.